Search Engine Optimisation (SEO) is the process of enabling your website to be found easily by your target market when searching on any of the major search engines. 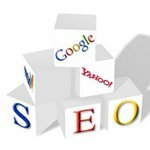 SEO is based on knowledge of the search engines criteria & algorithms for ranking websites and can be used to either gain more traffic to a website or to improve the quality of existing traffic (e.g. specifically targeting your potential customers). Most companies realise that having a good quality and easy to use website is an important part of any marketing strategy. However, many do not realise that SEO is vital in order to drive potential customers to your business rather than to your competitors. Can your potential customers find your business on Google? With search engines often being the easiest way to find a product or service, it is vital to the majority of UK businesses to appear when keywords related to their business are inputted into any of the major search engines. If your website is not gaining exposure when your product or service is searched for, or if your competitors are appearing above your site, then it is likely that you are missing out on website visitors and therefore potential customers. An initial meeting or discussion to gain an understanding of your business, your Search Engine Optimisation goals and how Websites1st can assist you in achieving them. Independent and detailed Search Engine Optimisation Analysis of existing website, competitors (direct & indirect) within online marketplace and keyword audit. A report containing a thorough analysis of the online marketplace surrounding your company / product with specific recommendations in order to meet set strategic goals will be delivered to your company. A further meeting shortly after delivery of the research and recommendations report. This meeting will result in the agreement of an ongoing action plan to implement Search Engine Optimisation additions and/or changes to your website. Agreed Search Engine Optimisation implementation work will commence. Progress will be monitored and a performance report (usually one month after implementation) will be compiled. A regular meeting or discussion to evaluate first month performance after changes have been introduced. Any further recommendations will be discussed at this point and further ongoing strategy will be agreed. Agreed maintenance and monthly SEO / Website analytics performance reports will continue. To find out how Websites1st can help your business improve its SEO, please contact us for a free consultation.